Home/From Belgium is Veronique Delvigne, retreat. Thank you so much for the amazing trip! 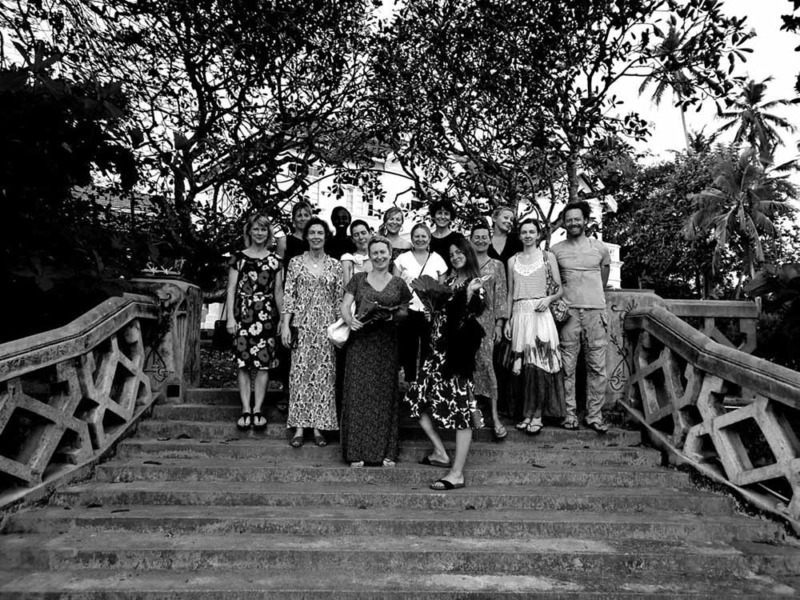 Villa De Zoysa was the perfect setting for such an amazing yoga retreat; welcoming, beautiful, in a fabulous location, and just perfect in every way. Devinda made me feel at home, helped me plan spectacular day trips from the Villa, and made fabulous recommendations for places to eat and different ways to experience Sri Lanka. The family style meals were delicious, which allowed the perfect setting to get to know the other guests, have great conversation, and really make special and memorable friendships with everyone there. I couldn’t have wished for a better place to spend my holiday! And thank you to Anna and Juergen. They tailored the yoga classes to match each yogi’s abilities and truly helped me to learn more about myself and my practice. They were both such wonderful teachers both on and off the mat. This was truly one of the best trips I have ever experienced and I just wish I could have stayed longer! Thank very much for the comments. We appreciate this. We spent ten lovely days at the villa with our two-year-old daughter, enjoying yoga sessions in the mornings and evenings, the magical place, incredibly considerate host Dewinda and his caring, family-friendly staff and – not least – the fantastic local cuisine prepared by them. We and our daughter loved the relaxed atmosphere, the friendly dogs, cat and picturesque cow in the garden as well as the beautiful vegetation, the sound of the waves nearby… and so much more! A true paradise that gives you a retreat from bustling Galle without giving you the feeling to be locked away in a fancy, generic resort. We‘d love to come again! Amazing Kat or the comment, and we love it. We look forward to host the family again. We enjoyed a wonderful yoga retreat at Villa de Zoysa in 2017. The beautiful villa was our last stop after 3 months of travelling the world. It was the most beautiful and perfect place for it. The villa is unique and spacious. Our host Devinda made sure we felt welcome at all times. We were travelling as a family with a 4-year-old and Devinda and his friendly staff took very good care of us. The food was delicious and we especially loved the outside dinner party he organized on the last retreat evening. Morning and evening practice in the yoga shala, swimming in the pool as well as sunset meditations at the beach made the retreat a most relaxing experience. We would always come back to Villa de Zoysa. Thank You Katja for the comment. As you know we always encourage families with children to join our retreats as we believe the homely atmosphere and the shear space helps the kids to enjoy their stay. We look forward to have you again. Have a great day.